OPPO Mobile, today announced the launch of OPPO Hyper Boost, its full-scenario, system-level performance boost engine. Hyper Boost helps elevate the overall user experience through improvements in the power consumption and performance of Android smartphones. Developed extensively over the years prior to today’s unveiling, OPPO Hyper Boost is designed to accommodate a wide range of usage scenarios and behaviors. A proprietary solution for optimizing system-level resource allocation on smartphones, Hyper Boost is a great example of OPPO's strength and understanding in the system-level optimization of the Android platform. Hyper Boost works by enabling real-time "two-way dialogs" between applications and system resources. After having recognized the various scenarios and user behaviors from different applications and game programs, Hyper Boost comprehensively optimizes the allocation of resources across the system to specific needs. This helps ensure better utilization of hardware resources, faster response speed of applications and game programs, and smoother operation of the overall system. · Game engine: One of the smartphone manufacturers to first work with Tencent, Netease and game engines such as Unreal, Unity and Cocos, OPPO is well-equipped to implement underlying optimization on the Top 100 mobile games. This game engine provides optimization for 11 of the most popular mobile games on the market, such as the “Honor of Kings” and “PUBG”. Its polymorphic network acceleration technology can intelligently distribute the traffic between the cellular and Wi-Fi data network channels. This optimization reduces the overall network latency to offer players a more relaxing and smooth gaming experience. 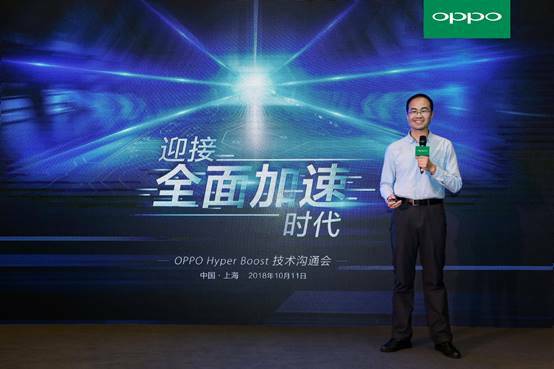 Thanks to close collaboration with various partners - OPPO combined the optimization engines with devices, chip platforms, applications across the industry chain - Hyper Boost provides a type of underlying optimization that will lead to a fully elevated user experience for Android smartphones. With a continued focus on "user needs" and "cutting-edge technology", OPPO has maintained an increasingly strong position in its areas of strength such as fast charging and image photography. The company is also expanding its footprint into fields like 5G and artificial intelligence (AI) as part of an effort to enhance its capabilities in technical innovation. This year marks several milestones in OPPO's focus on technical innovation, including applied technologies like Hyper Boost, AI ultra-clear night scene, Super VOOC fast charging, 3D structured light and TOF. Additionally, OPPO successfully tested 5G signaling and data linking using a refitted R15 smartphone, representing a pioneering move that brings 5G smartphones to maturity. In its dedicated pursuit of technical excellence, OPPO continues to bring its profound technical expertise and heritage into full play.